Each year, millions of students apply for scholarships and college grants to help them pay for their college education. However, many students could find more money available to them, but unfortunately, they don’t know the best places to look and end up missing thousands of dollars in scholarship money. For students looking for college grants in Minnesota, there are plenty of grants and scholarships available. Scholarships and grants are available in the form of federal assistance, private scholarships through organizations and/or businesses, state grants, and other miscellaneous places. However, the college grant search can be quite the hassle; without some research, some grants and scholarships can remain hidden and buried from students who deserve them. Below are some of the best college grants and scholarships available in Minnesota. First and foremost, students should fill out a FAFSA to determine their eligibility for The Minnesota State Grant Program. The program offers grant money to students in a similar fashion as a Federal Pell Grant. Pell Grants are available to students whose family has an income of $30,000 or less. In most cases, students can find an application at their college or high school to apply for a Pell Grant. The amount received often depends on the student’s enrollment status (part-time or full-time), family size, and tuition costs of the student’s chosen school. This is a nationally awarded scholarship given to students with high academic standing. Students who apply have to be nominated by their school and only one award can be given per school. $1,500 in scholarship money is available and can be renewed for four years. If interested in applying, students can contact their high school principal for an application. With the same requirements as a Pell Grant, “SMART” Grant stands for Science and Mathematics Access to Retain Talent. SMART grants are available to third and fourth-year students who are studying engineering, technology, science, mathematics, or a critical foreign language. As like most other states, Minnesota offers certain grants and scholarships solely for students who are residents of the state. Often, proof of residency is required. In most cases, these scholarships are given to students who are members of low-income families. The grants are given out by the Minnesota Office of Higher Education. Depending on a student’s specific situation, there are many grant amounts available; however, up to $9000 per yer is available. Awarded to an individual under the age of 24 who has lost a parent who was a public service officer killed in the line of duty. Up to $10,000 may be awarded for students who are attending or plan on attending a four year university. This grant is available to students who live and attend a school in Minnesota and have children under the age of 12. This grant helps with child care costs. However, this grant does have conditions. Check the Minnesota Office of Higher Education site for more information. Many grants and scholarships are available to veterans of all branches of the armed services. More information can be found at the Minnesota Department of Veterans Affairs. Adults who are returning to school should look into this grant. The Allis Opportunity grant offers to pay for one class and textbook at any Minnesota community college. To apply, see the admissions office at your local community college. There are endless private scholarships available to students in Minnesota. Private scholarship categories range from journalism, food services, sciences, and almost anything in between. There are also private scholarships that cater to students with high academic standing, minority status, and other criteria. Below are a wide selection of private scholarships offered. However, there are many, many more private scholarships available. Offered to American Indian or Native Alaskans who are enrolled in a tribal college, this scholarship offers up to $2,500 a year. Factors that determine eligibility include financial need, community service, and academic achievement. For more information and to apply, visit College Fund.org. This scholarship is available to high school seniors that are members of the Minnesota AFL-CIO. Chosen students can be given up to $1,000 annually in funding to attend a Minnesota college or university. Students applying for the award are required to have a 3.0 GPA. Related scholarships include the Martin Duffy Adult Learner Scholarship that is available to both undergraduate and graduate students; four $500 scholarships are awarded annually. This scholarship offers a $1,000 award for students who are working toward skills that can be used in the Minnesota job market. No online coursework is eligible. For more information and to apply, students are encouraged to visit MinnesotaJobs.com. This scholarship is offered to third and fourth-year students studying elementary education. 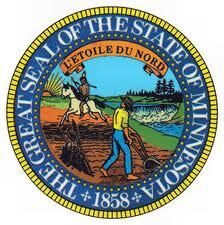 Students are required to be residents in the state of Minnesota and must be attending a college in the state. Additionally, students must have a GPA of at least 3.0. Students living in the Buffalo Lake area are given priority. For more information, students can visit CommunityGiving.org. These scholarships are awarded to minority students who are juniors, seniors, or graduate students at traditional universities. Up to $10,000 is given out. For more information and to apply, visit AAAA.org. Intended for students who are mothers who have given up a child for adoption, this scholarship offers $4,000 in awards. More information and applications can be found at AOIC.org. This scholarship is offered by the Northwest Airlines Pilots’ Wives Club. Awards are available to residents of Minnesota who are undergraduate students at a Minnesota college for a summer internship program centering around cardiovascular research. Awards are available up to $1,800. Similar scholarships include the Veterans of Foreign Wars Scholarship that offers awards up to $1,270. For more information and applications for both programs, visit Americanheart.org. These awards are offered to students from the following counties: Washington, Scott, Dakota, Carver, Anoka, and Ramsey. Funds are available in up to $4,000. To apply, students must have extreme financial need and the desire to attend college full-time. To apply, visit Horatioalger.com. For students who are or have family members that are small business entrepreneurs and live in the Duluth or Superior areas, this award offers $1,000 for students interested in improving their management skills through college-level courses. To apply, students must have owned their business for six months and have at least three people employed. To apply, visit DSA Community Foundation. For students looking to study nutrition, food science, food technology, or pediatrics, this award gives $3,000 annually. Given out to graduate students focused in the area of archival administration, this scholarship offers $750 annually. Students interested in applying are required to have a GPA of at least 3.0. To find out more and apply, visit Midwestarchives.org. Students who are interested in taking part in Swedish studies should look into these awards. To apply, students are required to speak Swedish. Awards up to $2,500 are available. For more information and to apply, students are encouraged to visit Americanswedishinst.org. Muslim Youth Leadership Awards are available to Muslim students who are residents of Minnesota. Students must be enrolled in a Minnesota college full-time. $30,000 are awarded in general scholarships with one $3,000 scholarship awarded annually. Students may receive multiple $1,000 scholarships. For more and information and to apply, visit this link. These scholarships offer up to $1,000 for students who study planning or similar fields at a Minnesota college or university. To apply, visit Mnapa.com. Offered by PFund, an organization that is an amazing resource for bisexual, transgender, gay, lesbian, and allied communities, this award requires students to be a legal resident of Minnesota attending a educational institution in-state. This award is given annually and the deadline is in February. To apply for this scholarship, a student must be in high school and live in an area that is served by Minnesota Power. A one-time award of $2,000 is offered. For more information and to apply, students can visit DSA Community Foundation. For this scholarship, students must be Jewish and a resident of Minnesota. More information can be found at this link. This scholarship is available for students in their junior or senior year that are majoring in accounting. A GPA of 2.5 is mandatory to apply. Visit mapa.mn.com for more. Students who are members of Future Farmers of America and plan on focusing on food science, agriculture, business, or food technology at a college in Minnesota are encouraged to apply. $1,000 is available each year. The Page Education Foundation was founded to help encourage Minnesota’s students of color to pursue post-secondary education. To apply, students are required to demonstrate financial need, be of color, and have an interest in education and community service. Students must also attend a college or university in the state of Minnesota. Awards consist of grants that range in value from $1,500-$2,000 annually. If awarded the scholarship, students are then required to spend a minimum of 8-10 hours per school year assisting elementary and middle school-aged students with their studies. The grants are given annually and students must apply by May of each year. To apply, visit The Page Education Foundation. These scholarships are given to students who live in Minnesota and have at least one-fourth American Indian ancestry. Students must also show financial need. Undergraduate students may receive $4,000 annually in award money, while graduate students can receive $6,000. To apply, students must be enrolled almost full-time in a Minnesota college and also be eligible for a Pell or state grant. For more information and to apply, students can visit this online application. This scholarship is sponsored by the American Lung Association in Minnesota and requires students to write an essay on clean air choices to help raise awareness of the effects that Diesel engines and gas have on the environment. The American Lung Association is trying to promote Clean Air Choice fuel. The contest is open to all high school seniors in Minnesota that are looking to continue their education. For more information on essay requirements and to submit an essay, students can visit Cleanairchoice.org. Although this list is large, even more scholarships and college grants are available to Minnesota residents. Remember that the key to finding the most grant money possible is to look in every possible place. Additionally, students should not hesitate to apply for scholarships that are hard to get; sometimes the best ones are!